IS YOUR BROWSER REALLY WORKING FOR YOU? If someone is going to make money from your data, it might as well be you. Cocoon uses patent-pending, advanced isolation technology to protect your computer from malware by keeping it away from your hard drive. 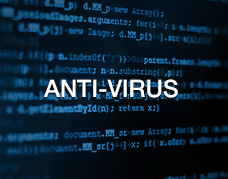 In addition, we utilize antivirus scanning to check for viruses before they even reach your computer. These isolation methods keep you safe. Your valuable data—credit cards, social security number, bank usernames and passwords—are at risk of being stolen from the very networks you connect through. Cocoon encrypts your connection to our servers, so you can be sure every WiFi connection is secure from intrusion. Your privacy is protected from companies who are tracking you around the Web, compiling data based on your browsing history and behavior. 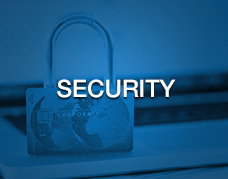 Our proxies, cloud, and encryption keep you in a secure and private environment. Your data belongs to you! Traveling has never been this easy! Cocoon lets you take your online experience with you—from computer to computer, even overseas. Our proxies give you access to U.S. content, no matter where you are (for China, please use Asia version below), even with our encrypted connections. Cocoon Asia works the same as Cocoon with one difference, it is optimized for use in 7 Asian countries. If you live in or plan on traveling to China, Vietnam, South Korea, Japan, Singapore, Hong Kong, or Taiwan then Cocoon Asia will ensure the best connectivity and online experience in these areas. 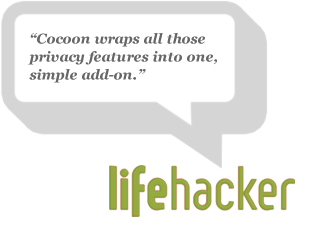 Protect yourself from online tracking, malware and identity theft with Cocoon. 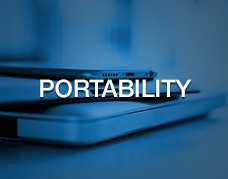 Access US web content while abroad and easily manage cookies and history from the cloud! Your best Internet, available to you wherever you go. Cocoon product information is not unique to any specific user. Take comfort knowing that you are not being tracked in any way. Help support Cocoon by turning off any ad blockers knowing you are secure and protected. We do not work with any third parties to provide personally identifiable information. We do not work with affiliates that require that we collect or share personal information. We do not share any user information with any sites, only Cocoon product information is attainable.